Rep. Terri Sewell’s [D-AL] amendment directs $2.5 million away from the Secretary of the Interior’s departmental operations and instead increases funding for competitive grants to preserve the sites and stories of the Civil Rights Movement. 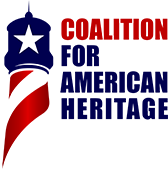 Rep. Sheila Jackson Lee’s [D-TX] amendment adds an additional $500,000 to the HPF for competitive grants for the survey and nomination of properties to the National Register and as National Historic Landmarks associated with under-represented communities. A second amendment by Rep. Sheila Jackson Lee directs that an additional $1 million of HPF funds should be allocated to grants for Historically Black Colleges and Universities (HBCUs). Rep. James Clyburn’s [D-SC] amendment increases funding for HPF grants to HBCUs by $2 million.